I often find myself feeling conflicted over medical topics, including personal wellness. Working in this field, beside some of the brightest minds who are using some of the most advanced techniques to drive progress in this area, I can't help but see the value in research and development in the life sciences. There is obviously some questionable, even "bad" science out there and that's not where I'm going with this. Even if the tried and true solve is good, I still can't help but consider an alternative means to fixing whatever is broken. With the speed of research and development of medicine these days, there seems to be a new (and not so new) chemical answer for much of it. I can't always bring myself to just accept the conventional way of remedying my ailment. For example, there have been many times when I choose to try and wait out a headache instead of reaching for the Advil, or when I have employed holistic remedies. When it comes to the controversial topic of vaccinations, I acknowledge that the practice has eliminated (or practically eliminated) many serious diseases. Yet to some degree I can't completely ignore the negative information out there about vaccines, nor the sheer amount and variety of them that now exist and are being mandated or strongly encouraged by medical professionals, school systems, and even society in general. Based on my philosophical struggles (and those of my peers and friends) it seems with all the scientific progress that has happened, people are now practically regressing to some degree, and are becoming skeptical of much of that advancement itself. According to an article in ScienceDaily (based on a journal paper from the Archives of Internal Medicine), about a third of Americans employ some hybrid form of complementary and alternative medicine. People are seriously concerned about what is going on in the environment and inside of their bodies, and have been smothered with such a wealth of information via the Internet that it makes what was once a simple decision making process (to defer to the recommendation of the physician--period) multi-faceted and quite complicated. The growth in popularity of homeopathic treatments, organic diets, and yoga are just some of the obvious, maybe even trendy, displays of going back to basics. On a daily basis, I personally try to make responsible decisions, attempting to get and be healthier, but there is no way that I could or would claim that everything can be fixed with some vitamins, breathing exercises, and organic heirloom tomatoes (although they are so delicious, I'm tempted to call them magical). For me--and apparently a third of Americans--there is definitely a delicate balance that needs to be reached in medicine and health. I think personalized medicine will help deliver that balance for many. 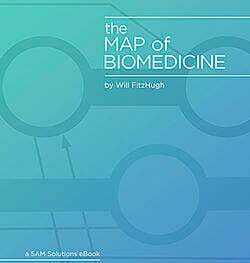 It's no secret that here at 5AM we are big fans of personalized medicine, and between the costs and time requirements of sequencing dropping, developments in diagnostics (Cancer Dx, Microbiome Sequencing) and the widening understanding that the universal drug is no longer the best way to go, it feels so close! Through personalized approaches, I think individually we will begin to feel less polluted by whatever extras are in the "super-drug," that less things will get broken while some are getting fixed, and that faster results with less side effects will soon be produced. With the onset of personalized medicine, it will hopefully stop feeling like there is conflict between deciding to take what might cure you, and fearing that it will make something else worse. I am professionally and personally fulfilled to be a part of a results-oriented team that not only believes in doing good work, whether it's creating powerful and reliable tools or making sense of data, but also helping others become able to deliver exponentially faster advances too. Efficient systems and solutions that produce quality research results will only push us forward even faster toward more accurate wellness solutions for individual patients, improving the human condition.